The impact of both structure and space is a vital design consideration – and its application is vividly represented in the geometric shapes of the Windward Lounge Chair. 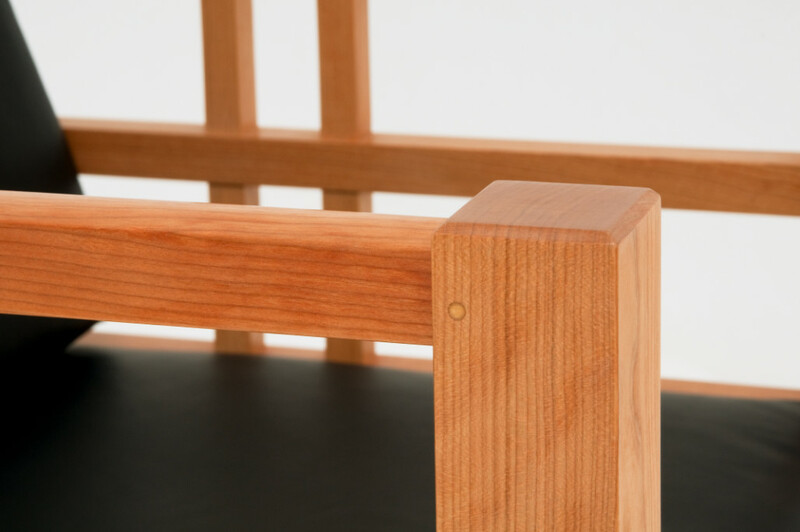 Inspired by the resource-conscious practices of traditional Asian craftsmen, Windward optimizes the use of small sections of wood, while leveraging abundant – and precise – joinery to create a strikingly linear aesthetic. 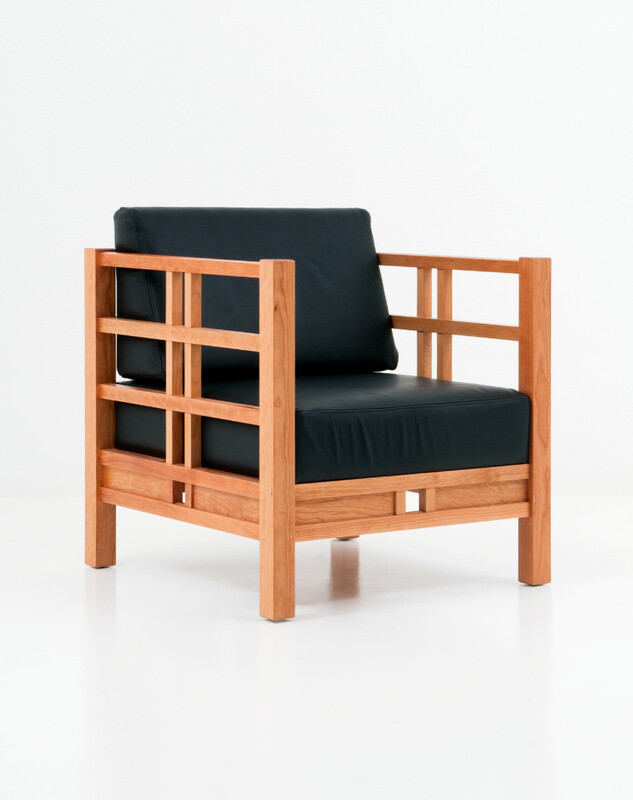 Crafted from sustainably harvested North American cherry or walnut hardwoods, the Windward Lounge Chair masterfully inhabits and amplifies any space it occupies. 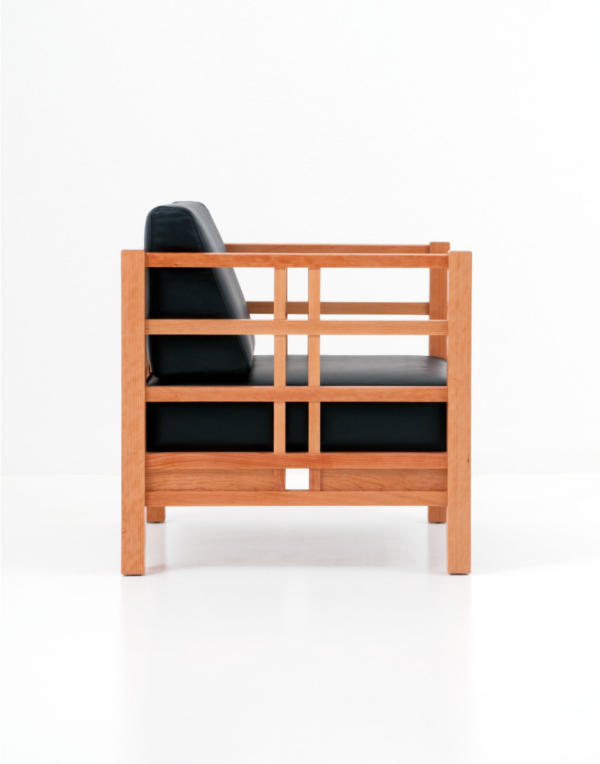 The initial impression of the Windward Lounge Chair may very well be its intricacy. 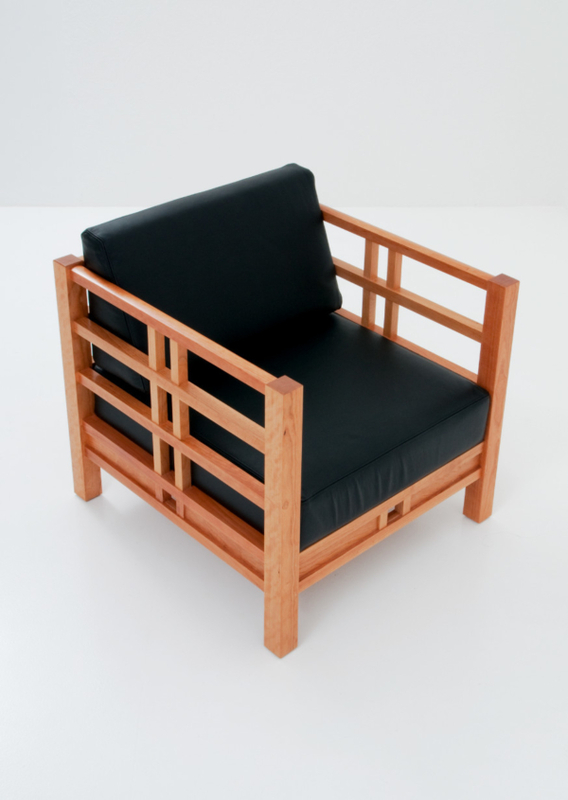 Utilizing the division of space between vertical and horizontal lines, the chair incorporates a series of more than 20 pieces of hand-finished wood – connected by dozens of precision mortise-and-tenon joints. 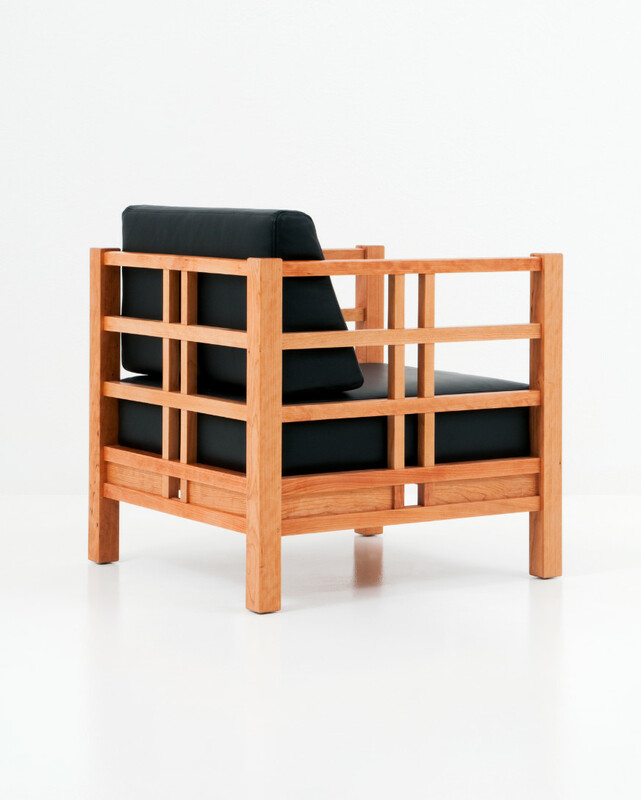 This intricacy makes the chair’s presence feel both airy and substantial. With straight legs anchoring each of its four corners, the perpendicular base and arms give a clear sense that the chair is built to last – and last beautifully. 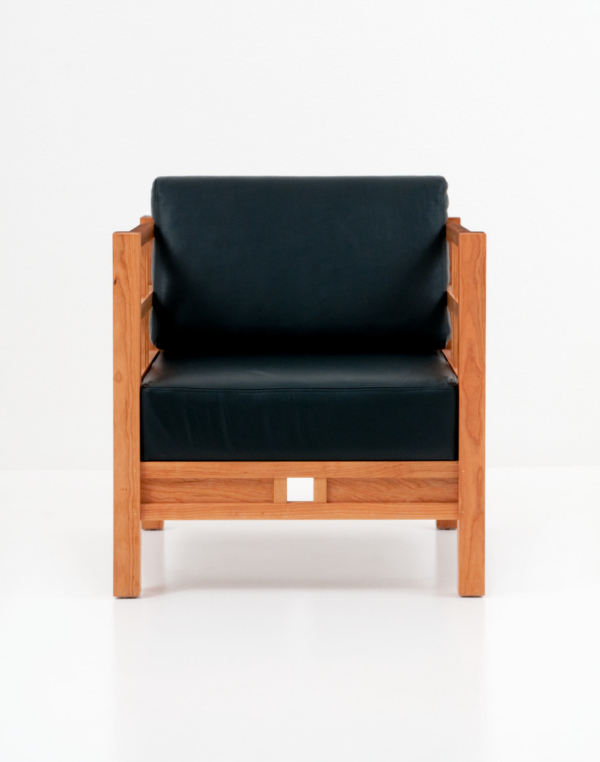 Enhanced by cushions at the seat and back, the Windward Lounge Chair is upholstered in either fabric or leather and is every bit as comfortable as it is visually striking.